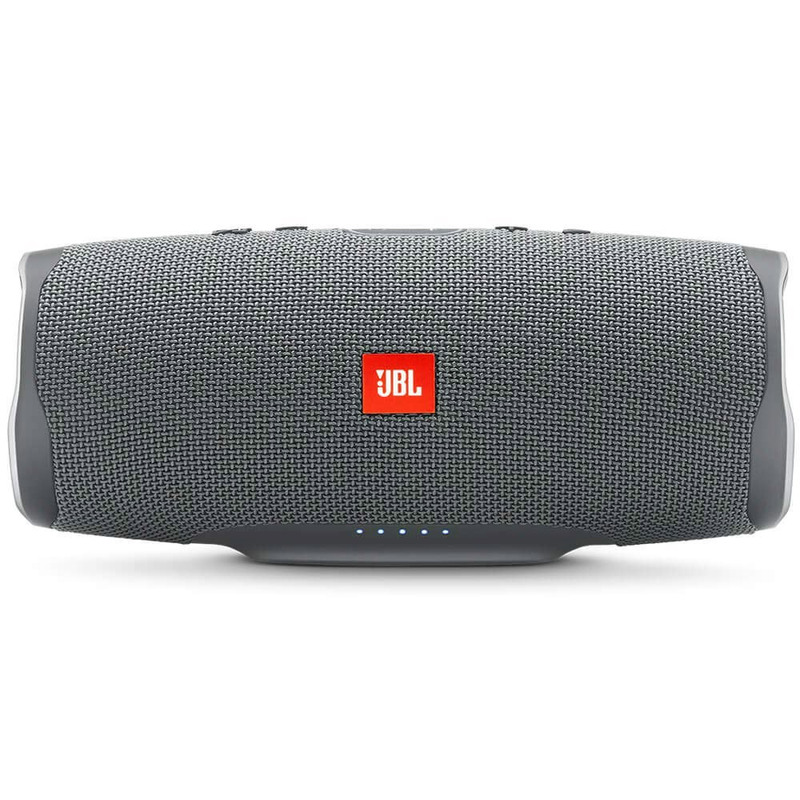 the JBL Charge 4 portable Bluetooth speaker with full-spectrum, powerful sound and a built-in power bank to charge devices. It features a proprietary developed driver and two JBL bass radiators that intensify sound with strong deep bass. Its high-capacity 7800mAh rechargeable Li-ion battery provides up to 20 hours of playtime. The speaker carries a convenient USB charge out to quickly charge devices, such as a smartphone, so users will never run out of power again. The Charge 4 features a rugged design, IPX7 waterproof rated exterior. Together with JBL Connect+ it can wirelessly link more than 100 JBL Connect+ enabled speakers to elevate the listening experience. Built-in rechargeable Li-ion 7800mAH battery supports up to 20 hours of playtime and charges a device via USB port. Amplify the listening experience to epic levels and rock the party perfectly by wirelessly connecting more than 100 JBL Connect+ enabled speakers.